Thanks for visiting Audiko.net! 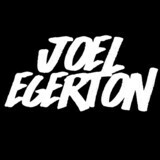 You can just download a free Joel Egerton ringtones for your iPhone or mobile. Scope out your favorite slice from your favorite tune - Nothing Else Matters *SUPPORT FROM TE, Locked Away, No One *Skip to 1 min*, or any other track. You may receive your tune both in the MP3 and m4a formats, supported by both mobile phones and iPhones. Just select a track, and choose free Joel Egerton ringtones download option.